If you want to be a teaching assistant in New York, you need certification to show that you’ve mastered the reading, writing, math, and instructional support skills necessary to succeed. 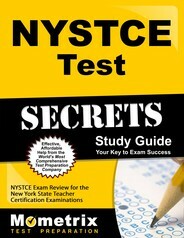 The New York State Teacher Certification Examinations (NYSTCE) Assessment of Teaching Assistant Skills Test is the exam you’ll need to pass. It’s a challenging and comprehensive test that requires a strong study guide to help candidates navigate the exam. Here’s a synopsis of what you can expect, and an excellent guide to help you prepare. The test has a designation number of 905. 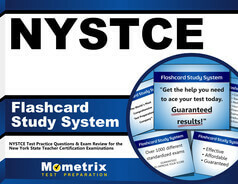 How long do candidates have to complete the NYSTCE Assessment of Teaching Assistant test? The computer-based test has a three-hour test time. When can I take the test? Is there a fee? Candidates can take the test year-round, Monday through Saturday. The test is not available on certain holidays. There is a $71 exam fee, and candidates have one year to take the exam. The test examines candidate’s skills in reading, writing, math and instructional support. A synopsis of each section is below. Understand the addition and subtraction of whole numbers could test how to use addition and subtraction to solve everyday life problems. What are the test day rules regarding identification and items allowed in the testing center? Make sure to arrive at the testing center at least 15 minutes before your scheduled test time. Any candidate who arrives more than 15 minutes late may not be allowed to take the test. Bring a valid government-issued ID, such as a driver’s license or passport. Your identification must include a photo, and the name on your ID must match the name on your test registration documents. Electronics and personal items are prohibited in the test room and will either have to be placed in a locker at the test center and left in your vehicle. Prohibited items include cellphones, jewelry, watches and wallets. What’s the test passing score? What if I fail? The test has a passing score of 220. Any candidate who fails can take the test as often as needed but will have to pay additional test fees. This is where an outstanding study guide comes in. No candidate wants to go into the testing center unprepared. Mometrix offers two ways to help you prepare. Our excellent study guide walks you through everything you need to know about the NYSTCE Assessment of Teaching Assistant Skills test. What questions can you expect? What are the test-taking pitfalls? Our study guide answers all that, and more. We also offer an excellent set of flashcards that you can take anywhere, and study whenever you have just a few minutes to review the questions you’re going to face.